When you have a legal problem, you want an experienced lawyer, one who knows the law, who will help you identify your options, and who will provide you with an honest assessment of the potential outcome of your case. You want an attorney who will make certain that you are continually informed of any developments in your case, so that you can make informed decisions. At the Law Offices of Spadea & Associates, LLC, in Ridley Park, Pennsylvania, we have extensive experience representing individuals throughout Delaware County, Montgomery County, Philadelphia County and South Jersey. We place a high priority on personal service, ensuring that all your legal concerns are handled directly by Gregory J. Spadea or one of his associates. Before starting his own law practice in 2001, attorney Spadea was a former IRS agent and certified public accountant. Contact our offices to set up a free initial consultation. Estate and tax planning: We provide advice to individuals and businesses, counseling clients and families on strategies to ensure the orderly distribution of assets at death. We also help businesses and individuals make plans to minimize their income and inheritance tax obligations. Estate administration and will probate: We guide you through the probate and estate administration process in as seamless a manner as possible, ensuring your responsibilities as an executor are met appropriately. We also draft pour over trusts for minors, IRA trusts and Special Needs Trusts. We handle will contests and estate litigation. We work with startups to identify appropriate business structure, making the proper tax elections after forming the LLC, S-Corporation, Partnership or Non-Profit Corporation. We provide comprehensive corporate governance, and prepare the annual corporate and individual shareholder federal and state tax returns. We draft and review contracts and commercial leases. We draft buy sell agreements and advise clients on business succession planning. 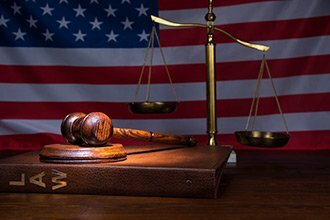 Criminal defense: Our criminal defense attorneys represent men and women who have been charged with a crime. We offer skilled criminal defense services to people charged with white collar crimes, felonies, misdemeanors, DUI (driving under the influence) and traffic violations. Real estate transactions and evictions: We handle all matters related to the sale or purchase of commercial or residential real estate, from the negotiation of terms to the closing. We prepare all documents necessary to successfully complete a real estate transaction, including agreements of sale and deeds. Personal injury: Our firm represents injured individuals and families in a wide range of personal injury cases, including car accidents, truck accidents, motorcycle crashes, medical malpractice, slip-and- fall and wrongful death, among others. Family law: We work closely with clients to deal with family law issues as efficiently and effectively as possible. Some of the types of family law cases we handle include divorce, child support, child custody, property division, equitable distribution and spousal support. 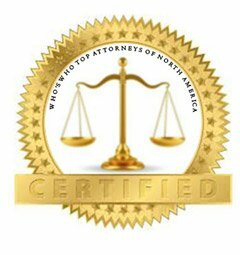 For a free initial consultation with an experienced lawyer, contact us. 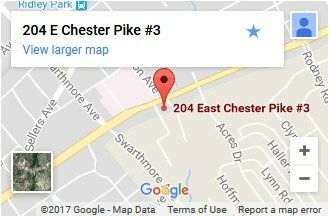 We are conveniently located across from Taylor Hospital. We accept MasterCard and Visa. At the Law Offices of Spadea & Associates, LLC, in Ridley Park, Pennsylvania, we represent individuals and businesses throughout southeastern Pennsylvania, including Delaware County, Montgomery County and Camden County. We also work with clients in Philadelphia and Burlington Counties. Mr. Spadea is a reliable attorney. He has always been professional and courteous. . I would recommend Greg to anyone searching for a tenacious attorney with a positive attitude.